We are grateful for the hard work and generosity of our clients, partners, friends, and donors. We are gratified that clients tell us that for them CareerCatchers is life changing. In this final newsletter of 2018, we will let them tell you what they have expressed to us. 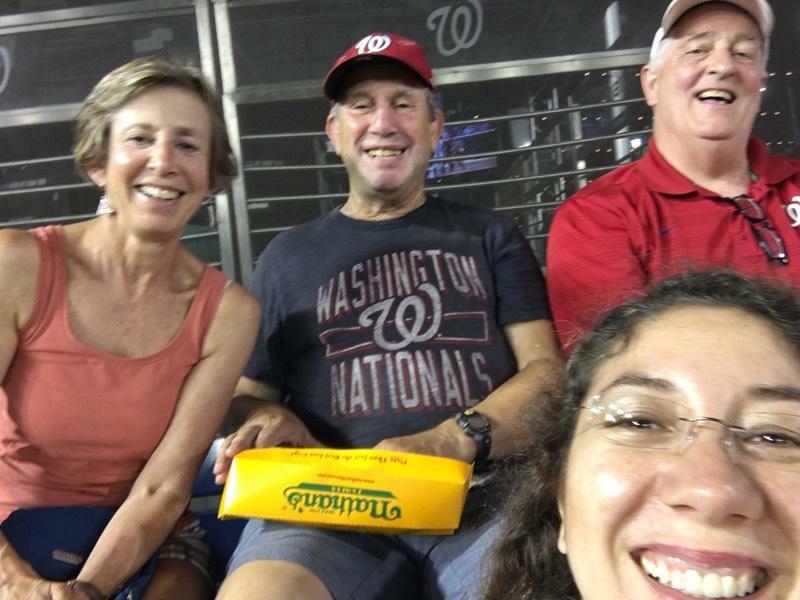 On a steamy Friday night in August, clients, client family members, staff, JEB and Board members saw the Nats beat the Marlins, 8-2. We thank the Nationals Organization for providing 25 tickets and our donors for providing funds for food and transportation for clients. The event—a JEB effort– was such a success that we plan to hold another next year. This was a once in a lifetime experience for my kids and I, so we were thrilled to be a part of this. My kids were stoked! Let me tell you, for a 17 year old boy, he even got to eat real ballgame food and it was right there. (We always need to bring our own snacks places.) We were ecstatic for this opportunity as a family who doesn’t do much together. 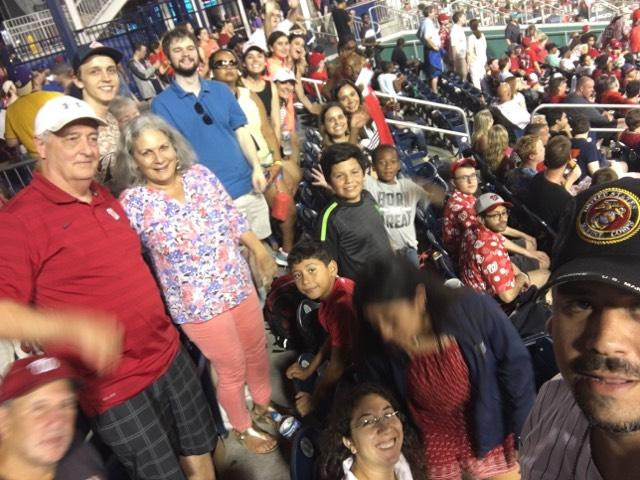 It was truly a unique experience, not only getting complimentary Washington Nationals tickets, but also receiving additional money to cover food and drinks. I do not know any other place where this happens. This was my first time attending a Washington Nationals game. . . . I am so grateful I got the opportunity to attend. 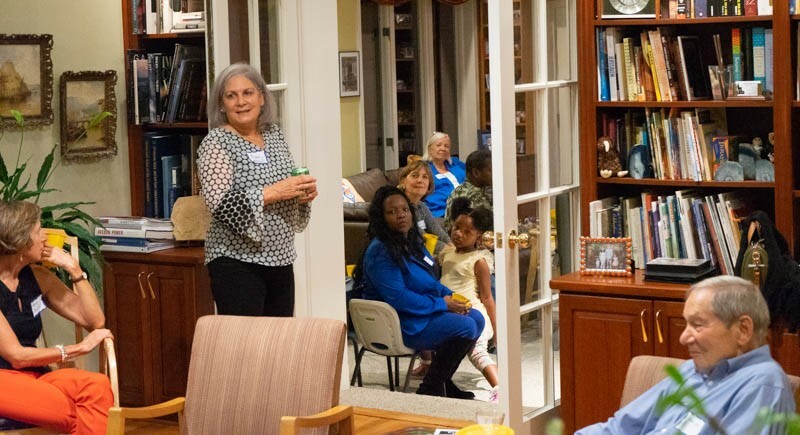 In September, we held our annual fundraiser. Many of our clients’ sessions are not covered by grants, so our fundraiser was dedicated to supporting them. With a generous $5,000 donor match from a former CC Board member, CC raised a total of $14,670. To help offset the cost of providing services not covered by other grants, clients are asked to pay $20 per visit. The money raised during the fundraiser will directly benefit this client population. The number of Direct Service clients we see is growing—we saw 50 from January to September. The Job Club, held at Gaithersburg Library with the Montgomery College Community Engagement Center, continues to offer much needed support. The library Job Club meets with clients in six sessions, which last two hours. Because the first year was so popular, we were asked to repeat the effort this year. And we have a continuously running Job Club in our Gaithersburg office for all CareeerCatchers’ clients. An Introduction to Accounting and Basic Bookkeeping was offered this fall for those who wanted to enhance their skills. Seven people completed the six-week course and received certificates. 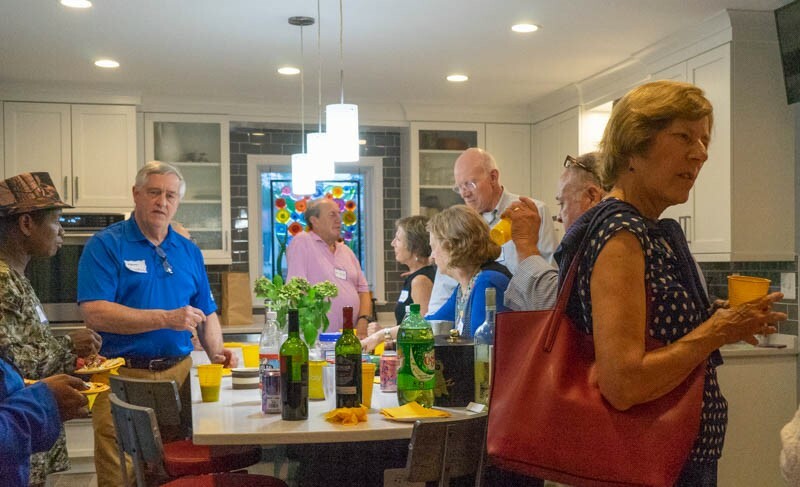 The participants were very enthusiastic and pressed for a second course, which might include instruction in QuickBooks and Excel. Over the past two years, CareerCatchers has run two successful Learning Communities. We are now exploring opportunities to offer similar programs to workforce development organizations. Learning Communities are facilitated by CareerCatchers staff, and bring together organizations and individuals who have a common goal of helping their clients out of poverty through training and employment. Participants meet monthly over the course of a year to learn best practices, share resources and knowledge, and learn new techniques for career counseling. In our first CareerCatchers Learning Community, in 2017-18, we had nine participants from Identity, a Montgomery County nonprofit for Latino youth and families. Our second contract was with the Montgomery College Engagement Center Staff, and took place last spring. Stay tuned and check our website to hear about new programs in this area. Tutoring, especially in science and math for entrance exams such as the TEAS (Test of Essential Academic Skills). Teaching our curriculum on basic bookkeeping and QuickBooks. We are SSL approved, and welcome volunteers of all ages. For information on opportunities, contact our Volunteer Coordinator Karen Shaines. Karen@careercatchers.org. Now, as always, we depend on contributions from those who, like us, believe that helping individuals overcome barriers to find meaningful work that provides a living wage is key to ending poverty and enriching our Community. Please join our efforts and donate.